ETOUR This fabulous one owner home never looked so good!!! It offers all you heart desires and all on one level with 1.7 acres in the Oxford School district. 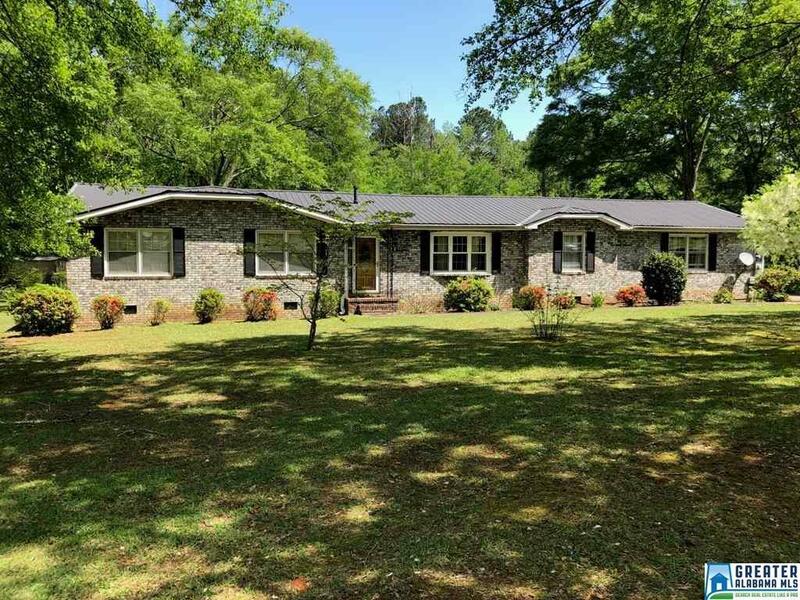 It features 3 bedrooms, 2 baths, family room w/masonary fireplace/logs, formal dining room, kitchen w/breakfast area, office/study, sun room, large laundry room, and an over sized double garage. Amenities are endless and include full brick exterior, laminate flooring, handicap tile shower, open floor plan, double pane/storm windows, metal roof, door w/etched glass, storm doors, solid surface counter tops, handicap ramp in garage and so much more. The mature landscaping and flowering trees are breath taking and invites you to call this home. Call today for your private tour of this rare find in Oxford school district. Driving Directions: 78 W Turn Right Onto Hwy 202 Turn Left Onto Bynum Blvd. Then Left Into Bynum Acres Then 1st Right House On Right.